'I am only slightly puzzled by why the childishness has not left the minister. It is easy to be prejudiced and closed-minded when one is in one's teens. But adults should view the world as adults, not as squabbling and petty schoolchildren,' says Aakar Patel. Like most middle class Hindus, especially Gujaratis, I grew up with particular ideas about nationalism and religion. When one is young, it is easy to be attracted to the idea of Hindutva, because its essence is quite basic and unexceptionable. It seems to rest on a surging love of nation and culture, and both of these are folded into one element, which is the Hindu religion. So the word 'Hindu' carries not only the markers of religion, but also nationality and culture. And all of this we accept as true because some very great people said it. In India we revere more than we read and so it is natural to think of the greatness of people purely because their names are repeated to you often enough. I was in my 20s when I actually read Savarkar's text Hindutva and it disappointed me. I couldn't understand why he was thought to be so great. I thought it was a very ordinary text and had nothing of originality. Savarkar was himself not well read and there were few references to the works of others. His main idea was unconditional love of nation, but that is something, as I have said, that comes to most of us quite easily in India. Encountering Vivekananda's writing (his collected works, mainly speeches and letters, are in eight volumes) continued my puzzlement. It was after I finished reading (the Rashtriya Swayamsevak Sangh's second Sarsanghchalak M S) Golwalkar (also mainly speeches and interviews) and the slim works of the RSS ideologue Deendayal Upadhyaya that it dawned on me that this was all there was to Hindutva. It was an ideology for those who were closed of mind, and it was more about passion than intellect. This discovery was a relief, because by now I had come to dislike its essence. I began to see how Hindutva was shaped by negatives. Its three main demands were: The Ram Janmabhoomi (Muslims should not keep their mosque); a Uniform Civil Code (Muslims should not keep their family law); and removing Article 370 in Jammu and Kashmir (Muslims should not keep their constitutional autonomy). None of the three demands offered anything positive to Hindus. Hindutva is an ideology of finger-pointing and blaming others. It assumes that others, not we, must act to make India a great nation again, assuming it ever was a great nation. To me this was childish and I could not subscribe to it. If Hindutva did not do so much physical damage to India and Indians, I would ignore it and its proponents. But, of course, one cannot. 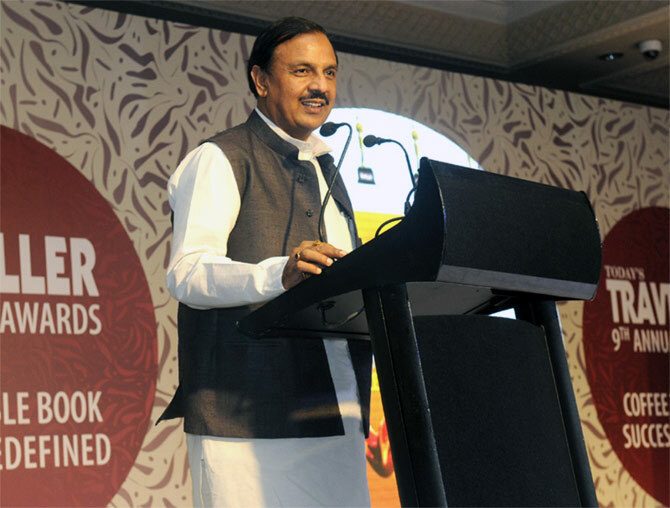 India's culture minister, Mahesh Sharma, has been in the news a lot because Hindutva is mostly about culture. It has no contribution to economics. Many Hindutva sympathisers would be surprised to know that though he is called their ideologue, Deendayal Upadhyay was a socialist whose economic ideas the BJP have totally discarded after Manmohan Singh's liberalisation. Hindutva has zero contribution to science, of course, and it has no contribution to anything of substance other than 'culture', where it insists that its narrative is the only right one. This is why it is people like Mahesh Sharma who make the headlines and not the science minister (whoever it is) because Hindutva is not interested in that. It is interested, despite its name, not in Hindus, but in Muslims. Sharma first said that the Bible and Quran are not central to the soul of India as the Gita and Ramayan were. I am not surprised that a Hindutvawadi should be saying such rubbish. I am only slightly puzzled by why the childishness has not left the minister. I know why he was attracted to bigotry in his youth because I also was, as I admit. It is easy to be prejudiced and closed-minded when one is in one's teens. But adults should view the world as adults, not as squabbling and petty schoolchildren. It would be a great help to Hindus if Hindutva, finally, would stop talking about Muslims and look at Hindus instead. I would consider subscribing to such an ideology. Aakar Patel is Executive Director, Amnesty International India. The views expressed are personal.